Just like all good bands, Pink Floyd retained seeds of creativity despite reaching some level of success and weren’t afraid to experiment with music idea in order to advance their musical vision. By the end of the sixties they reached the pinnacle of psychedelic rock to the extent where the press were writing about “How The Pink Floyd Defeated Psychedelia” (Disc And Music Echo; February 15th, 1969) and used the epithet “space rock” to describe their music, utilizing headlines such as “Pink Floyd Take A Shot At The Moon” (Melody Maker; July 19th, 1969) and “Are Spacemen Floyd On Their Way Back To Earth?” (Disc And Music Echo; November 19th, 1969). Ummagumma is both the definitive statement and deconstruction of that genera and would never to be approached by anyone again. At the time, when interviewed by the press, the band pointed out their future direct lay in film scores. They scored films such as More and Zabriskie Point, and were looking forward to more work in that direction. Roger Waters spoke enthusiastically about scoring the Rollo animation cartoons by Alan Aldridge and said his biggest desire would be to score Arthur C. Clarke’s next screenplay. The Massed Gadgets Of Hercules 1970-1974 is the amazing new box set by Godfather documenting Pink Floyd’s greatest tangent of creativity from Atom Heart Mother through to Wish You Were Here and Animals. Four of the five shows have never been pressed on silver disc before and the fifth was released almost a decade ago and is now out of print and impossible to find today. Godfather utilize the best available generations for the shows and all of them are listenable and enjoyable. Pink Floyd spent much of 1970 on the road and working on the tracks that would be released on Ummagumma‘s follow up Atom Heart Mother. First was a quick tour of the UK followed by two weeks in Germany and Scandinavia. The March 14th show in the Meistersinger Halle in Nuremburg circulated in the past under the name Masters Of The Mystic Arts. Godfather utilize the second generation tape which surfaced afterwards. 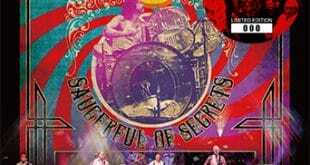 It is a big upgrade over what has been out before because of the improved sound quality and because “A Saucerful Of Secrets,” cut in the past, is now present in its entirety. Before the upgrade some copies circulated with “The Amazing Pudding” at the start of disc two, before “The Embryo.” But the setlist during this tour was unchanged, and the tapes from Hannover and Lund, Sweden from this period have the long track at the very end so Godfather have the correct sequence of tracks. The long set sounds like a hangover from the sixties. Every song is expanded with long instrumental passages. Only “Careful With That Axe, Eugene” clocks in under ten minutes long. They play slow and with deliberate. Each passage seems to linger in space as the band take their time to express their ideas. “Astronomy Domine” starts off the long trip with the most playful and self-conscious performance of the night, but the following song “Careful With That Axe, Eugene” is much more dark and serious. It moves along at a snail’s pace until the middle scream section. Gilmour’s guitar is particularly loud and abrasive, spitting out much anger and hostility. “A Saucerful Of Secrets” is a definite highlight of the night. Richard Wright plays abrasive atonal piano during “Syncopated Pandemonium” and the others try to give as abstract a performance as humanly possible until they get to the final section where the church organ gives a heavenly climax. “The Embryo” is quite interesting for Waters’ melodic bass at the beginning of the middle improv. The babies are replaced by a tape of chirping birds beneath Gilmour’s seabird calls. They follow with “Interstellar Overdrive” which features a strange heavy metal improv by Gilmour in the piece’s middle. He piles on the power chords, but then the improvisation mutates into a placid contemplative sound scape. Reaching twenty minutes in length, it is obviously a band performance without the orchestra and choir that would augment future performances. Hearing the suite in context of an early 1970 show lends a different appreciation. Instead of the free form psychedelia of the preceding hour and a half, “Atom Heart Mother” is much more tonal and traditional. Pink Floyd were almost always on the road in 1970 and 1971. It remains to this day their most busy period of live activity. So much so that the press at the time were speculating that the road would be the musical suicide of the band. They wrapped up recording their fifth LP Atom Heart Mother at Abbey Road Studio in August and immediately hit the road with shows in France, followed by a tour of the US (their second of the year), a short tour of Germany and the UK. Their only real break was about three weeks off in January 1971. They returned to live performance with shows scheduled for universities in England including Leeds University, University of Essex, University of Exeter, and the Technical College in Farnborough, south of London. The show in Farnborough is the fifth live date of the year. 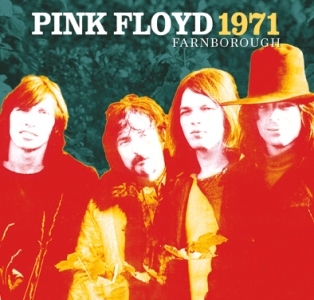 The recording circulates as Close The Blind on Pink Floyd ROIO torrent sites and, many years ago, was pressed on CDR on Live At Technical College (Ayanami-221), but Farnborough 1971 is the first silver pressed edition. Godfather utilize a good but dull mono audience recording taped very close to the stage. The audience are very quiet during the music, so there is no interference in enjoying the music. Three are also cuts after “Careful With That Axe, Eugene,” and thirteen and a half minutes in “A Saucerful Of Secrets” omitting the rest of the piece. Pink Floyd start the show with their new piece. By this time it had been in the live set for a year and achieved definitive form on the LP. During these early British dates they play a sixteen minute band version which omits the sound “collage” sections and the reprise of the main theme at the end. The follow with “The Embryo,” the other constant in the setlist at this time. “Astronomy Domine” sounds upbeat and happy in this performance. At times, Waters plays a happy and melodic bass line similar to the opening to “Let There Be More Light” (a tune that would fit quite nicely in these set lists). “A Saucerful Of Secrets” ends the night with a long dose of spook. Mason on drums plays very primitive, jungle like drums in the “Storm Signal” section only to be met with long groans from Gilmour’s guitar. There is a fine transition into the “Celestial Voices” section featuring Wright’s church organ, but the entire passage leaves the audience (and listener) with an unsettling mood. Pink Floyd debuted their artistic milestone Dark Side Of The Moon in January 1972 and featured it as the first half of their show for the rest of the year. After touring the UK and visiting Japan, the band came to north America for a three week tour in April. The third stop was in Columbia, South Carolina on April 16th at the Township Hall. It has been released previously on CDR on Columbia Sonicwave (Blue Cafe -47AB), but Godfather is the first silver representative of the show. The transition from “On The Run,” still called “The Travel Sequence” at this point, into “Time” is quite long and engaging. And “The Great Gig In The Sky,” called “The Mortality Sequence,” features the Malcolm Muggeridge tape (they would alter this track several times through the year). Up to this point the audience have been very quiet while paying attention to the demanding new music. But “Money” elicits some reaction from them. Although it’s still lacking the awesome sultry saxophone of the final version, it’s still a fascinating live piece and the audience connects to it almost immediately. They temper their reaction again to the contemplative “Us & Them” and “Any Colour You Like.” It’s a shame the end is cut off because it would have been nice to hear their reaction to the first half of the show. In the show’s second half, Pink Floyd return with more familiar songs. “One Of These Days” from the latest LP Meddle is played first. The opening bass Wright plays heavy sounding scales on the keyboards, rising and falling creating a wave effect underneath the explosions and Mason’s threatening vocals. “Echoes” interesting Wright plays the opening keyboard melody not with the high pitched metallic sound, but with a more soft piano sound. The track lasts for twenty-five minutes and closes the set. The taper leaves the recorder on for several minutes while the band leave the stage and return for the encore, almost five full minutes. While the band are getting ready to play, the tapers (among others) shout out requests. They pick really old and obscure numbers too like “See-Saw” from A Saucerful Of Secrets and “Take Up Thy Stethoscope And Walk” from Pipers At The Gates Of Dawn. There are some giggles from the audience and, one can imagine, from the band too. Instead of being adventurous, the band reward the audience with the sixteen-minute band arrangement of “Atom Heart Mother.” At the very end the mc comes onstage, cheers the band (“let’s hear it for Pink Floyd!”) and tells everyone to drive home safely. Overall it’s a good show with interesting little variations. Unlike 1970 through 1972 when Pink Floyd couldn’t stay off of the road, 1973 was a relatively light year for live performance. They returned to France for and eight show reprise for the Roland Petit Ballet, but this time in Paris instead of Marseilles. When Dark Side Of The Moon was finally released in March 1973, they toured north America in March and again in June. After taking a four month break, they returned to the stage to finish out the year with two shows in Europe: October 12th in Munich and October 13th in Vienna. The set list remained the same as it was in America. The first half of the show opened with the title track from Obscured By Clouds and some older songs, the second half was the complete Dark Side Of The Moon suite and “One Of These Days” was played as an encore. 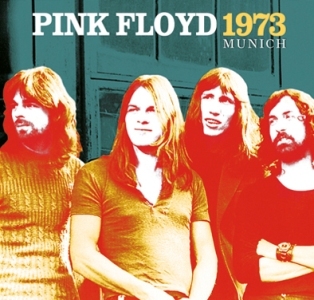 The first silver pressing was almost a decade ago on Munich 1973 Collector’s Edition (Siréne-006), a four disc release with the same tape unedited on the first two discs and edited on the second two. Godfather use the unedited tape which includes all the tunings. 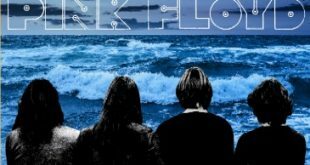 The first half of the show serve as an effective vehicle for Pink Floyd’s unsettling dramatic aural narrative. Through the use of drones, screeches, echoes and their tension-imbued keyboards, they transform the Olympiahalle into a hall of spook. Drones start off the show with the instrumental “Obscured By Clouds” and “When You’re In.” It is particularly dramatic in Munich with the loud, crashing heavy metal riffs in contrast with the pastoral feeling of the rhythm section. It is one of their most effective show openers and would be played for the last time the following night in Vienna. “Set The Controls For The Heart Of The Sun” relies upon a nasty, noisy middle improvisation. The following number, “Careful With That Axe Eugene,” has been played in every show in the box set up to this point. It was an almost constant in the set since 1968. By 1973, Waters dominates the song by whispering the title throughout most of the piece with his blood curdling scream being the song’s climax. Munich is one of the final live performances of the piece (the following night in Vienna and as a special encore in Oakland on the Animals tour in May, 1977). “Us & Them” becomes a highlight in this performance, striking a careful balance between haunting tension and a modicum of hopefulness. The jam on “Any Colour You Like” reaching eight minutes in length. At the end, when they play “Ellipse,” subtly is bypassed by Gilmour’s shouting the lyrics over the bombastic finale. The only encore is “One Of These Days,” cutting out after five and a half minutes. 1974 was an even lighter year than 1973 for Pink Floyd’s live schedule. Outside of some dates in Paris in the summer, the only tour was a short trip around the UK in November and December. Not only was this the debut of their newest songs, this was also (ironically) the first live performances in the UK of the finished Dark Side Of The Moon, close to two years after its release. Godfather use a remastered version of this tape where the channel problem was addressed and not so pronounced. The recording begins with the MC on stage introducing the band for the final night of the tour. Before the first song they play their Jimmy Young introduction. This was a short piece of tape cutting bits and pieces of the BBC DJ’s voice into little pieces into an absurd collage. Young was the object of Mason’s threat in “One Of These Days” and this tape is the band’s threat being carried out. Just like in 1972, Pink Floyd play all new music in the first half of the show. Unlike that tour, however, the three new songs don’t have any cohesive idea linking them together into a suite. Rather, all three are reactions to their sucess and describe the result of when art meets commerce. The first tune, “Raving And Drooling,” the first draft of “Sheep” on Animals, is the most polished of the three and closest to its final form. 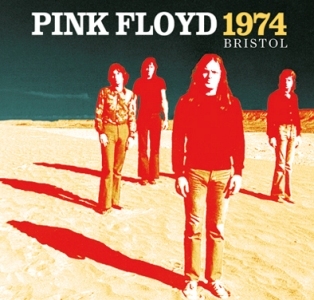 The second track, “You Gotta Be Crazy,” sounds much different even from the form it would take the following year when Pink Floyd would tour the US twice. It’s a might more light and airy arrangement with Gilmour rapping out the lyrics. The final new song, which Waters introduces as being about Syd Barrett, is twenty-two minutes long and had yet to be split into two sections. It starts off with a much more diatonic keyboard riff, although the four note guitar motif is present. It is a compelling piece even at this early stage, but it would become even more so in the coming year. Dark Side Of The Moon is played in full for the second half of the show, and a long and impressive version of “Echoes” is the only encore. Their conceptual piece had already been sitting at number one and been proclaimed a masterwork. The performance in Bristol doesn’t differ from the other performances on this tour. 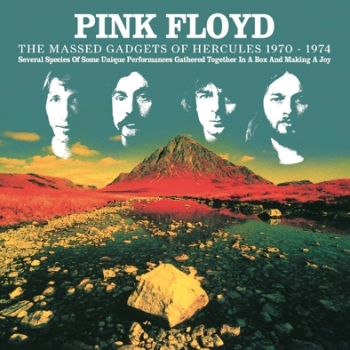 The Massed Gadgets Of Hercules 1970 – 1974 is a fascinating box set by Godfather. It doesn’t have the same unity as their other two Pink Floyd box sets, but that is its strength. There is much more variety in the music and arrangements. After hearing the more than ten hours of music, it’s much easier to understand and appreciate their development from the psychedelic “space rock” band to commercial arena rock superstars. Godfather package each show in its own gatefold sleeve and are all housed in a box. The box for this set is thicker than the others to accommodate the additional show. Plus, they include a thick booklet with detailed liner notes and anther insert called “Eclipse (A Piece For Assorted Lunatics)” containing an essay and the lyrics to Dark Side Of The Moon. The subtitle, Several Species Of Some Unique Performances Gathered Together In A Box And Making A Joy is a riff on the Roger Waters song on Ummagumma called “Several Species of Small Furry Animals Gathered Together in a Cave and Grooving with a Pict.” It’s silly, but in keeping with the bootleggers tradition of coming up with absurd titles for their releases. Given the rarity of this material, this is a very good collection. Pink Floyd – From Abbey Road To Britannia Row – New to CD. 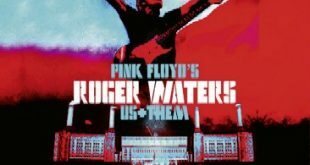 ‘The Massed Gadgets of Auximenes’: Ultimate Pink Floyd bootleg? Has anyone heard Sigma’s version of the Columbia show? Does it have the complete DSTOM on it? Hokafloyd has photos of it and the 72 Dusseldorf show. Both sport fake Harvest labels. Thanks Eugene. I was using wikipedia to match venues with tour dates and thought that Colston Hall looked too “Upper Class” for a rock show in 74. Is the venue wrong on the 1974 set? I’ve seen that show being listed in 2 different places. The Hippodrome seems more like the place wher the gig would have happened. All of these shows sound great when cranked through a good stereo. Well Godfather’s “Rainbow 72” box is now unavailable/discontinued/out of print/sold or however you want to put it. I hear this one won’t be around for much longer either (certainly not from the supplier). That was the point of my last post really. The reissueing of titles by Godfather is not a regular practice. However, as far as I know, they reissued David Gilmour’s “Let The Night Surround You” in 2012. I spent one year looking for a copy of it. Once I did get it, all the Godfather suppliers from a sudden had it available again. Most of Japanese titles are ca. from 100 (EV, T2K) to 500 (Sigma etc.). Many European/US labels are ca. 500 to 1000 copies per each title (depends on title). Some of labels are much practising in “re-issuing” their previous titles (EV for example), and they’re often using unselled copies, sometimes changing the artwork only. From what I know Godfather do not reissue their titles. Any idea just how many are pressed for the Godfather runs? I’m guessing it wont be in the thousands,but, just out of interest, it would be nice to know. Can anyone find out? It’s not being deleted per se. Every title has a very limited run and Godfather don’t keep things in print. Once they’re sold, they’re all gone. Sometimes labels may reprint a past title, but Godfather probably will not do that with the box sets. I’ve just taken delivery of this wonderful set. Thanks to Gerard for his informative review. The packaging is amazing, one of The Don’s best ever productions. Of course the music is the important thing, and all the tapes are very listenable & enjoyable. The tape issues with the Bristol show have already been documented, but Godfather’s new pressed edition handles these very well, and my enjoyment of the show has not been affected. At the moment I’m really enjoying the Nuremberg set, which is a bit of a revelation & worth the price of entry alone. I now fully appreciate just how important Rick Wright’s contribution to the Pink Floyd sound was. Just brilliant. For anyone who is wondering whether or not to pick this up, I say buy with confidence. I’m also led to believe the set is due to be deleted, so get in quick before prices soar. Floyd silver collectors will be seeking this one out for years to come. Superb! Cymbeline on the Farnborough show has a real short footsteps sequence. I am listening now to the fantastic Munich 73 show and only have the Bristol show yet to enjoy, I would give this box set high marks in the enjoyment catagory. The sound quality is over all great for audience sources and the performances exceed the quality. Although I loved the Rainbow 72 and Nassau 80 boxes I find this set much more satisfying due to the diversity of the material, going from early 1970 to late 1974 makes for fun listening. Now if we can only get a box set covering Jan – Feb 1970, we collectors would fall down and rejoice. Great review and box set , Highly recomended ! This Box Set is simply Epic. 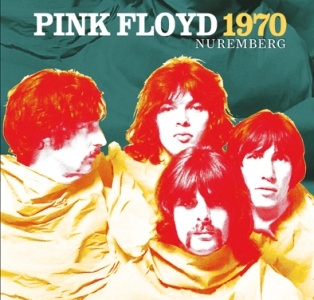 Without question the most impressive Floyd release ever. To put together this many great sounding and strong performances that have not circulated before!! Not to mention isolating the Floyd’s most exciting period of growth and inspiration, shows that Godfather totally appeals to the die hard collectors and they know their stuff! I have been anticipating this release since it was announced, but remained skeptical. After listening to this completely through (twice!) and reading the excellent booklet all I can say is “WOW”. 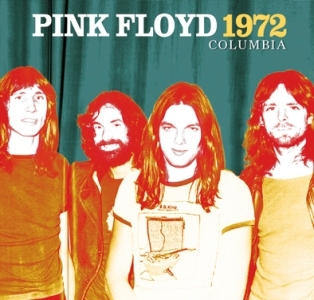 If you are a longtime collector you will want this, or if you are new to the glory of live Floyd circa 1970-74 then this is an excellent way to experience this era in one spot. All the cds sound very good and the performances are all truly inspired. THANK YOU GODFATHER!!! Thanks for the clarification. I’ve never actually heard the Ayanami release of the Farnborough show (I don’t collect CDRs), but I can say that the tape Godfather use is very listenable and enjoyable. This boxset is one of the most intriguing PF releases i’ve ever seen in the boot market and surely one of the best all-time, every pf collector should have one !! 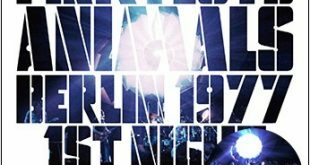 I agree with Sparaco that the overview of these concerts is a great way for understanding the development of the group on the stage, however i shall add that the AYANAMI cdr( N.221)” live at tecnichal hall ” is quite unlistenable and the ” farnborough 71″ ,here included, had a great mastering work that gave a substantial improvement to sound, it seems a different concert! The other thing to clear is that the mentioned insert, included in the box, is not a common one put inside without concept: in fact it is a perfect mini reproduction of the very,very rare tour programme for the 1972 U.S.A. tour , i’ve seen this programme only a couple of times in over twenty years collecting Floyd memorabilia, so i guess that’s really wonderful that “godfather.” gave the chance to collectors to see a relly elusive item! !